Nothing appeals more to kids than giant waterparks, getting close to marine animals — think sharks and manta rays — and amazing treasure hunts. 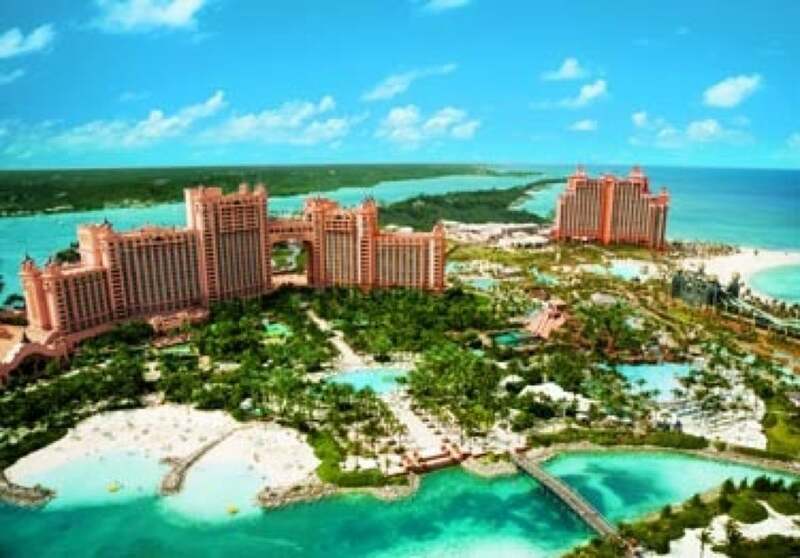 Atlantis is also a favourite destination with parents who love its restaurants run by celebrity chefs, superb white sandy beaches, and casino. The resort's Royal Towers is currently offering a Kids Eat Free Special for stays between May 1 and December 31, 2015. Children staying in this stunning Caribbean resort can join activities such as non-motorized water sports, arts and crafts and feeding an iguana (the Kids’ Klub is available for kids ages 5-12). Set among 31 acres of lush vegetation, the all-inclusive Sugar Bay Resort and Spa features a private beach, fresh water pools, tennis courts, miniature golf, and a magnificent spa. Guests can partake in a wide range of activities from snorkeling to windsurfing. Thanks to a Special Rate, you can now save 65 percent when you book a stay there. If you children like to climb, they’ll love this resort’s 30-foot rock climbing wall right on the beach. And there are many more activities to be enjoyed there, such as water sports, kite-making, beach games, scavenger hunts, and a learn to windsurf beach clinic. What’s more Tamarijn Aruba offer a family package for kids ages 12 and under to Stay, Play and Eat Free — leaving plenty of spare cash for the beautiful shopping arcade and casino. For the ultimate luxury families can stay in one of the resort’s three or four bedrooms Residences which feature private pools, a kid’s pool, and private deck. Another accommodation option includes the 800 to 2,200 square feet hotel suites. Gourmet restaurants and a spa offering treatments inspired by the local traditions complement are sure to appeal to parents. As for kids, they can learn how to speak Spanish, cook Mexican fares or play beach volleyball and many other pool games. The hotel’s special offers can be found on their website. Nestled among 340 acres of tropical ground, The Buccaneer offers its guests three beaches, a vast array of water sports, free learn-to-scuba classes, and opportunities to play tennis and golf. The complimentary Kids’ Camp for children ages 4-12 features activities such as treasure hunts, games, and crafts. All rooms can accommodate four guests with the resort’s most popular option being the family cottage suites which has two bedrooms, a bath, and a large front lawn.